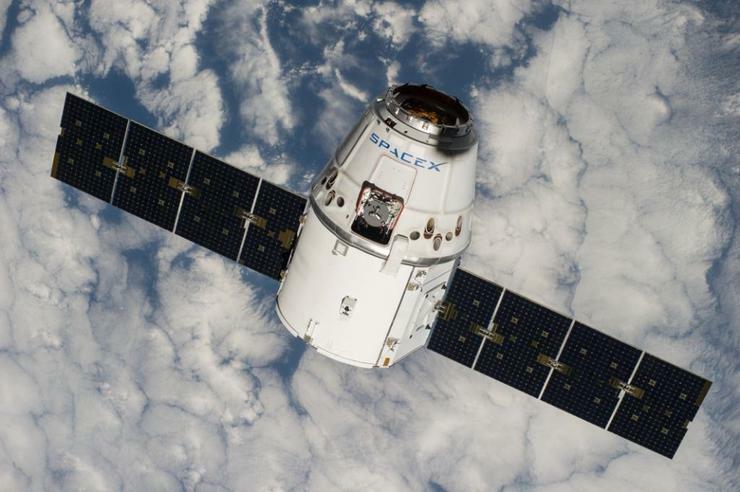 A software glitch caused a SpaceX cargo spacecraft to abort its rendezvous with the International Space Station early this morning. NASA now plans a second attempt to dock with the space station tomorrow. The unmanned SpaceX Dragon cargo spacecraft, which lifted off from NASA's Kennedy Space Center in Florida on Sunday, approached the orbiting station around 3 a.m. today but was unable to dock. The spacecraft waved off its planned rendezvous with the station at 3:25 a.m. ET. "Dragon's onboard computers triggered the abort after recognizing an incorrect value in navigational data about the location of Dragon relative to the space station," NASA said in an online post. After tweeting that the Dragon cargo craft was waved off, SpaceX then tweeted, "Dragon is in good health and will make another rendezvous attempt with the @Space_Station Thursday morning." 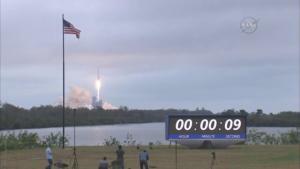 This is SpaceX's 10th commercial resupply mission for NASA. It's not the first time SpaceX has had trouble with a resupply mission. Last September, a SpaceX Falcon 9 rocket exploded on its launch pad while carrying its commercial payload of satellites. The vehicle and its entire payload, which included a satellite Facebook was going to use to beam Internet connectivity to parts of sub-Saharan Africa, were lost. Dragon is currently carrying about 5,500 pounds of research equipment, cargo and supplies for the space station and the astronauts living on board, including Raven, a test module designed to gather information and test technologies that will help NASA design spacecraft that can autonomously rendezvous and dock with satellites traveling in space at more than 16,000 mph. Once it arrives at the space station, Raven will be unloaded from Dragon and attached to the outside, where it is expected to work for about two years. Astronauts Thomas Pesquet, of the European Space Agency, and NASA astronaut Shane Kimbrough are scheduled to use the space station's robotic arm to capture Dragon when it arrives at the station.